The Google-Oracle lawsuit continues, with Oracle trying to jack up the importance of Android in order to shave more money off El Goog for the alleged Java patent infringment, while Google trying to downplay its importance any way it can. Yesterday Google's CEO Larry Page said that Android wasn't viewed as "critical" for the company in 2010 when the lawsuit started. 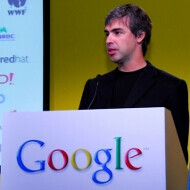 The exact words were: “I believe Android was very important for Google. I wouldn’t say it was critical”. The idea for Android at the time was to get it in as many hands as possible, so when people move over to the eventual post-PC world, Google would have a venue to offer its search, mail, docs and so on services, which would preserve its bread-and-butter ad revenue. Now of course, with Apple being the cash monster it became, Google might have changed its views on Android a bit, strategizing how to close the circle with Android to the extent of eventually building its own devices, but for 2010 Larry Page is probably correct about Android not viewed as "critical" for Google's continuing success. Andy Rubin and Eric Schmidt will be on the stand next, so we expect some more Android gems from the Oracle lawsuit testimonies. Finally they admitted it. Android in many people hands as fast as possible, huh? Do you know what this mean? This mean anything from bad optimization to deep fragmentation. they didnt make a whole lot of money off of android in 2010. it was a very small piece of their revenue. Of course, in 2010 it had a much smaller part of the market it does now. for any trolls that want to come in, if you are a multi billion dollar company and you have a product that barely makes you a few million... are you going to call that a priority? yea, probably not. Then again, google gives away service after service for free. They are the exact opposite of Apple which wants to profit from every line of code they produce. segregation is wrong sir.. wrong! When asked about iOS apps beating the Android versions of apps to market, Eric Schmidt had high hopes that would change with Ice Cream Sandwich "My prediction is that six months from now you’ll say the opposite." ---dec 2011 so much for the prophecy!